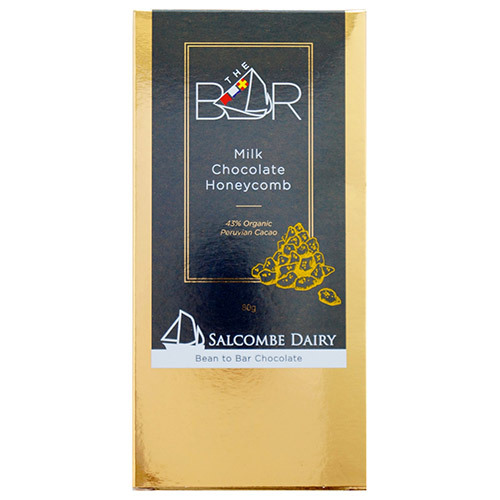 Bean to bar milk chocolate made with 43% organic Peruvian cacao and honeycomb pieces. 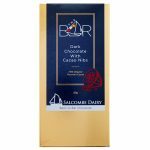 Five x 80g bars of chocolate, gift boxed and sent directly to your door for £20 (plus £3.95 p&p). We will then, by popular demand, will be bringing back the very successful Lolly Making workshops from our Salcombe Parlour – These will run from Sunday 21st Oct. to Saturday 28th Oct. at 11am, during the School Half Term break - Come along and bring a parent..
Come and visit us at Dartington Shops on Friday & Darts Farm on Saturday where we are sampling our fantastic Bean to Bar chocolate.